The Elder Scrolls has always been a series worth looking into. Each installment to the franchise sets new standards for other current-generation video games. Bethesda Game Studios has created a unique niche in the RPG genre through character customization, style of play, but most importantly through the specific details that go into every part of every game. 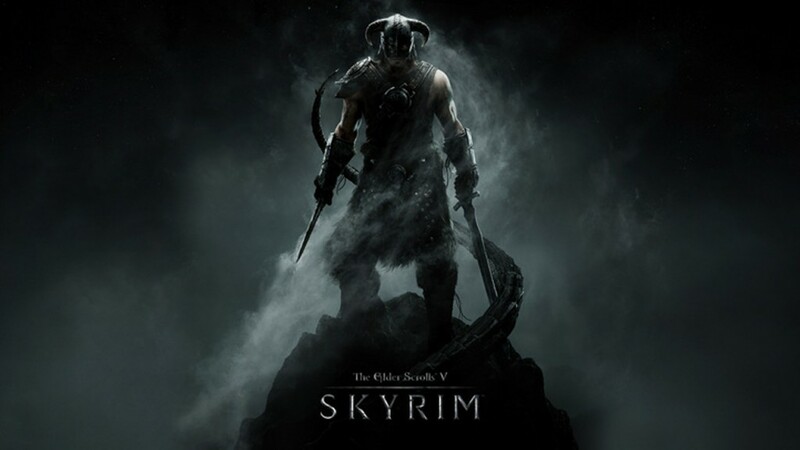 This trend continues with Skyrim, the fifth installment of the Elder Scrolls series. Starting the game up for the first time, you appear amongst a group of prisoners. Your wrists are bound, and you can’t move, aside from looking around. While it is unique to the Elder Scrolls games, the prisoner starting point is also becoming a tired theme. It sets up the story for Skyrim, but a thought that would be an interesting change would be to lead up to being arrested. We know of an ambush that was meant for the Stormcloak soldiers, so why not have a “teaser trailer” for the opening cinematic that depicts this scenario. Ending up with the same result, but there’d be a bit more story being told. Creating your character takes place just before the executions of the prisoners. Upon first glance, the graphics engine expresses its power through the use of shadows. Your character’s facial features show an extreme level of detail through the use of the sun’s light source. Individual bumps from eye brows, cheeks, etc., each cast their own unique shadow, which is something to marvel at for being drawn at run-time. Even though you don’t look at your character’s face through the majority of the game, this level of detail will continue throughout the rest of your adventure. 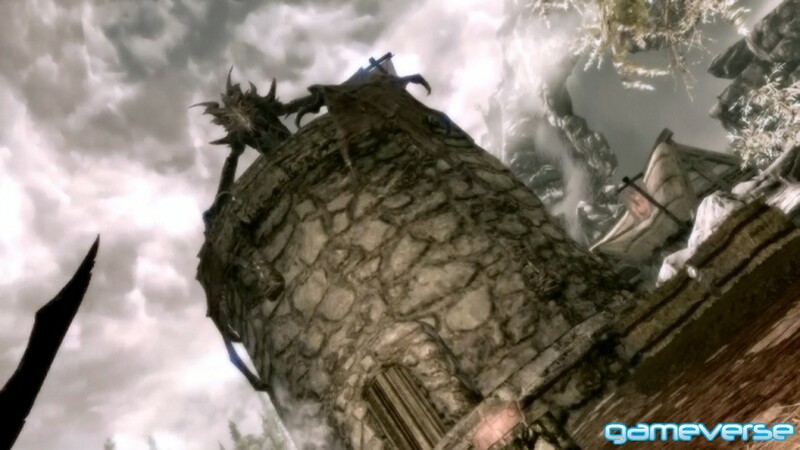 Fortunately, a dragon out of legend appears and attacks Helgen Keep, and you barely escape with one of two soldiers. There is a plot choice here, you can choose to flee with either the Imperial or Stormcloak soldier. Whichever choice you make leads you to the same town of Riverwood where, depending on your previous choice, you can find sanctuary in one of two homes belonging to the family of whichever soldier you followed. 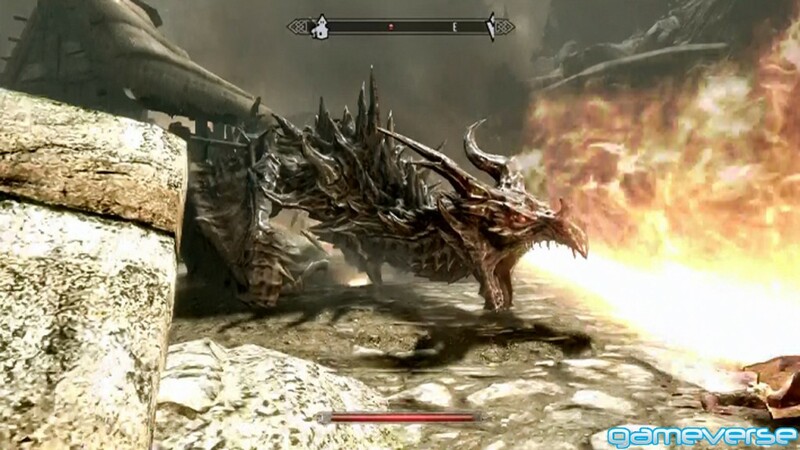 Upon facing the dragon at Helgen Keep, the controller vibrates beautifully in-sync with its roar, landings, take-offs, and breath attacks. This synchronization between visuals, sounds, and feelings enhance the game’s presence ten-fold. The ripple of reality between real-life and the game’s world is cleverly disguised. This harmony of syncing continues when fighting three mammoths and their giant protector as you “hear” and “feel” just how close behind they are as you run your socks off in the opposite direction. Similar to previous installments, leveling up individual skills generally comes with using them. To be an all-powerful wizard, you need to use magic, and you need to use the strongest magic. Your skill in the arcane arts will increase faster with higher rank spells as opposed to saving magicka by casting lower ranked spells. With each skill level, a portion of experience is awarded to your character. While leveling up, you can choose to increase your magicka, health, or stamina, in addition to using a specialization point in a number of skill trees. In addition to the near-limitless character customization options, Skyrim’s NPC’s are also well-developed. Every NPC has an audible voice, but more importantly will talk to your character even though you are just passing by. They may even scold you as you accidentally kick their cooking kettle around their store. Likewise, overhearing conversations with other NPC’s can unlock side quests. Overhearing a group of Redguard Alik’r being asked to leave Whiterun leads to them asking you for help. They are searching for a woman that is a Redguard like them, and are willing to pay for locating her. Upon finding her, you can choose to help her, or find the mercenaries and tell them where she is hiding. Partying with NPC’s is also more interesting than in other games. In a quest with Farkas he tells you to meet him at Dustman’s Cairn to find shards of a legendary axe, Wuuthrad, for the Companions guild. Farkas actually walks, and leaves town on his own. Rather than “magically teleporting,” you can follow him all the way to Dustman’s Cairn, typically these kinds of things for the consoles can be very taxing to their resources. It bogs them down as memory is used to chart the NPC’s course, but somehow this is unnoticeable to the player! 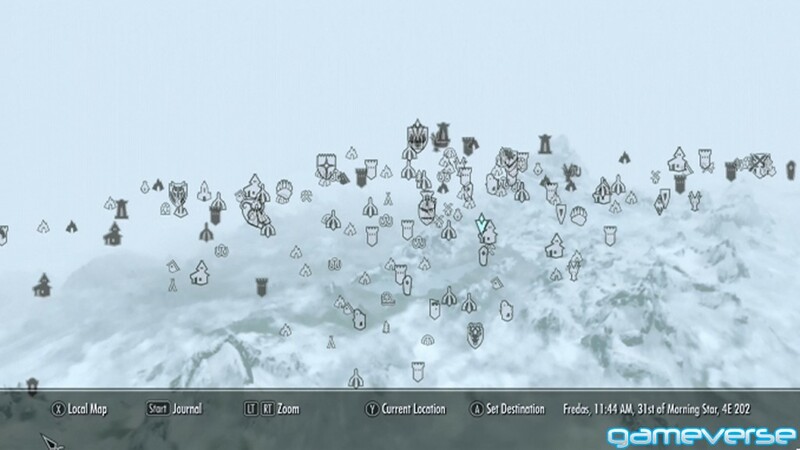 Like the NPC’s of Skyrim, there are many items to be found throughout the game as well. And a sort of OCD can be created with your obsession of customization. Some armor for example can be the same stat wise, but have different skins for their art assets, thus creating a slightly different look for your character and companions that you can “dress” up. Along with items you can use or wear, there are also many decoration items that are mostly useless, unless you want to pick how the inside of your house looks. Pots and kettles can be placed on a fire to look as if they were meant to be there, or you can place ornate jars on desks or tables and even place flowers in them. It takes a little bit of finesse, but for those who get picky about customization, it’s there for you to enjoy. Along with decorating your house, you can also populate your bookshelves! Books are more than just decoration however, the lore and mythology found in books, which can lead to random side and miscellaneous quests, have their own uniquely created content inside. In some cases, revealing how to get passed a door’s puzzle to open it, or to provide a small, permanent boost to skills, which makes every book worthwhile to open. Skyrim is a large world set within a larger world of Tamriel, which is slowly being revealed to us through the Elder Scrolls series. I eagerly await the DLC, Dawnguard and Hearthfire, as well as future Elder Scrolls games. 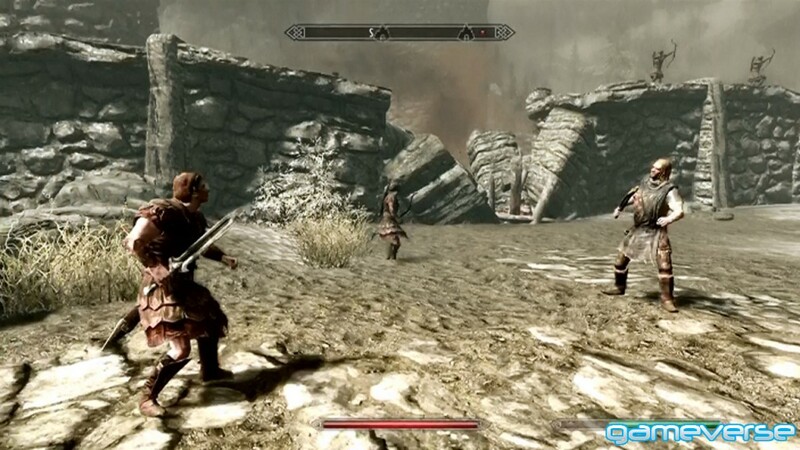 Skyrim provides tremendous graphics, an engaging and unique story, as well as game play that will last for literally days on end. Having spent more than 20-hours on just one character alone, there is still much more to explore and do. I feel as if I have barely scratched the surface of what this game has to offer. If you haven’t checked out Skyrim yet, it is well worth your dollar to do so.